Engadget has provided a great video overview of the Windows Phone 7s coming to the non-US phone market. Among those devices previewed are the Samsung Omnia 7, the HTC HD7, and the HTC Mozart. The Samsung Omnia 7 was praised for it's fantastic screen. The one differentiator of the HTC Mozart that has not been heavily discussed is the xenon flash and 8MP camera. This combination could make the Mozart the phone to get for those interested in replacing their point-and-shoot. Full reviews will be coming soon as the embargo lifts tonight. I mean six hours bring me back memories of my Motorola Microtac in 1990. I do not mind a phone lasting from 7 AM to 10/11 PM with medium use but six hours.......... is a no go, no matter what. Its got the same craptastic battery as the HD2, 6 hours would actually be an improvement. Eh, eh eh,..... six hours is what they say...... I never saw in my life a car, a laptop or a phone meeting the published specs. To be honest though my HD2 easily handle my 6AM/ Midnight time up; granted I do not make long phone calls but I use Exchange and I have other services like stocks,weather etc. that keep updating during the day. 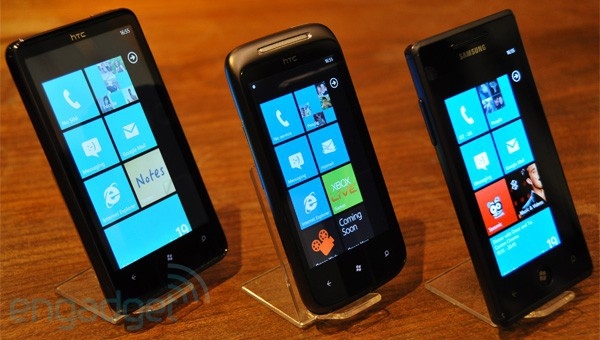 What l would like to see is a comparison between WM 6.5 and WP 7 running on same hardware.